Malaysian flea markets are a good avenue for scoring unique pieces for the home. While shopping at big box stores might offer more choices, smaller pop-up markets will offer one-of-a-kind pieces for the home like décor and tableware. Venture out into your neighbourhood and start hunting! While Ikea does the Netherlands proud, Malaysia has so much to offer in terms of creative homeware with a local flair. So the next time you need a new plate or jewellery box, head to one of these markets to discover Malaysian-made gems. Plants and planters, all kinds of art, candles, handmade bath products, and more. The most recent instalment, Markets 23 featured only local-made products, so these markets are a great place to discover local talent and offerings! Once every 2 or 3 weeks; look out for event announcements on their Facebook page. The School, Jaya One, Jaya One., 72A, Jalan Universiti, 46200 Petaling Jaya, Selangor. Paintings, décorative items, pillows, handcrafted accessories, and more. 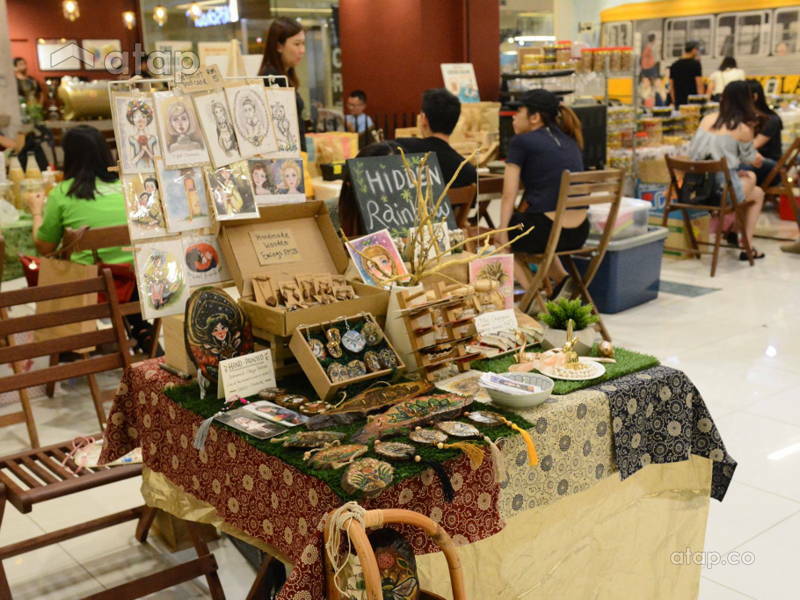 Curious Crafts Market: 4th – 6th August: 10am – 10pm. Made in Malaysia Artisan Bazaar: 19th – 30th August: 10am – 6pm. Look out for event announcements on their Instagram profile. Blue Zone, Publika, Solaris Dutamas, 1, Jalan Dutamas 1, 50480 Kuala Lumpur. Vinyl records, vintage household items (e.g. cameras and phones), servingware, and more. Every Sunday: 10am – 10pm. 2nd Floor, Blok B, Amcor Tower, No. 18, Persiaran Barat, 46050 Petaling Jaya, Selangor. Kitchen utensils, Batik products, accessories, and more. Monthly; look out for event announcements on their Facebook page. Ground floor, Bangsar Shopping Centre, 285, Jalan Maarof, Bukit Bandaraya, 59000 Kuala Lumpur. Cover image from Facebook page @marketsmy. Looking to spruce up your home but don’t know where to start? Get in touch with Malaysian interior designers. You can also check out local interior design portfolios. What Ceiling Style is Right for Your Home?